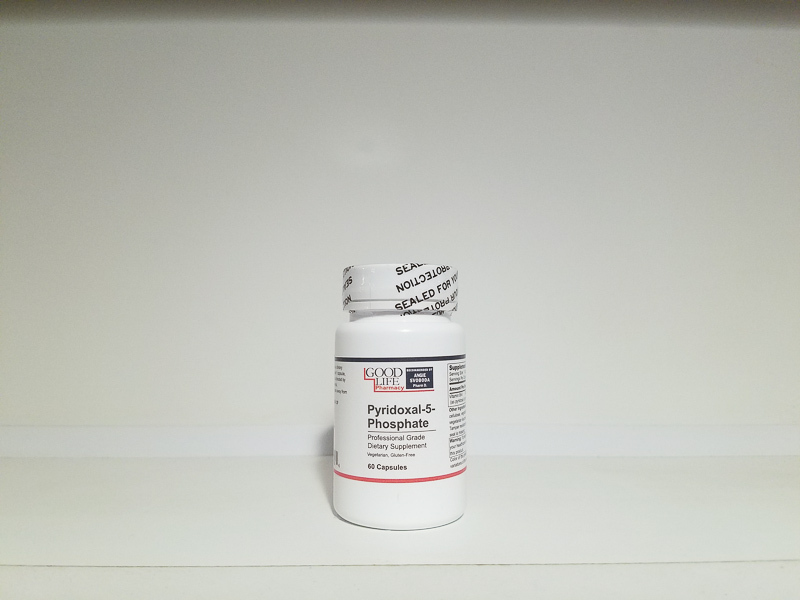 Pyridoxal-5-Phosphate (P5P) is the metabolically active coenzyme of Vitamin B6. The body must convert B6 vitamins to pyridoxal, and then phosphorylate them to P5P in the liver. This conversion is necessary, since P5P is the only form which can be used by the enzymes involved in biochemical processes, which are associated with nitrogen and protein metabolism and heme synthesis. P5P is exported from the liver and is considered the most relevant direct measure of vitamin B6 status. Vitamin B6 nutritional status can have a signi cant and selective modulatory impact on central production of both serotonin and GABA neurotransmitters, which can positively affect emotional response, pain perception, and anxiety. Vitamin B6 has also been studied for cardiovascular uses as well.